For all the grief I’ve given the TSA on the air and this blog for the security theater it makes us go through at airports, I’ve never felt any animus towards the people who work for that agency. That’s why I made it a point this weekend to thank each of them for showing up for work even though they’re not getting paid during Trump’s hissy-fit government shutdown. I was not alone, either. I heard many travelers also express their appreciation. 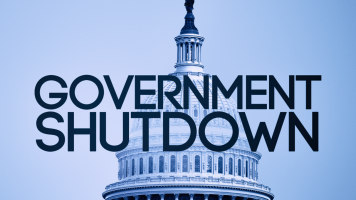 Although there have been reports of lots of TSA employees calling in sick during the shutdown (one in ten), it looked to me like everyone was where they were supposed to be as I went through the checkpoints in both St. Louis and Las Vegas. My wife and daughter flew this weekend, too, and reported the same conditions. The TSA staffers may be pulling extra or longer shifts to cover for a few no-show colleagues, but they were all pleasant and efficient and expressed no outward bitterness. Considering how many hassles there can be during air travel, it was nice not to have to deal with yet another one. Still, I can’t help but wonder whether that positive demeanor will last when they — and hundreds of thousands of other federal employees — miss a second paycheck this Friday (and who knows how many more in the future) while they’re used as political pawns by the Narcissist In Chief. I do know one guaranteed way to end the shutdown right now: have the White House staff refuse to go to work without being paid. I’m not talking about Trump’s acolytes and sycophants in the West Wing. I’m talking about domestic staff, the career federal employees who maintain the executive mansion, keep it clean and orderly, and — most importantly — prepare his meals. The only thing he fears more than losing power is not being fed. He’d give in the moment the hunger pangs hit. By the look of him, that would be every hour on the hour. What’s he going to do, have Melania whip up some Hamberder Helper?